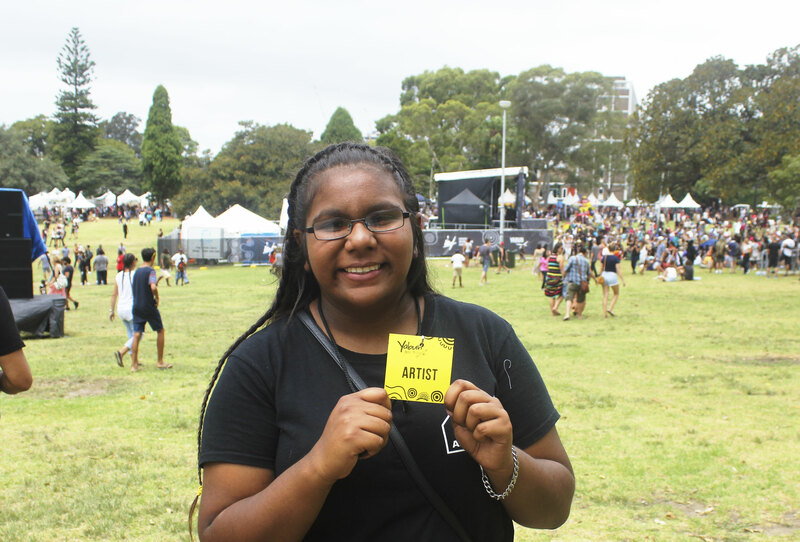 Rapper MC Dobby on the Young Black and Deadly Stage. 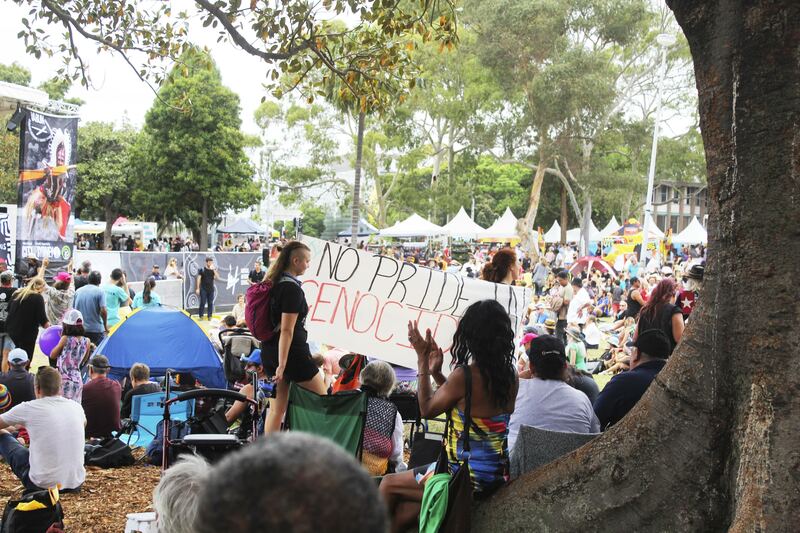 Image: Stephanie Barahona. 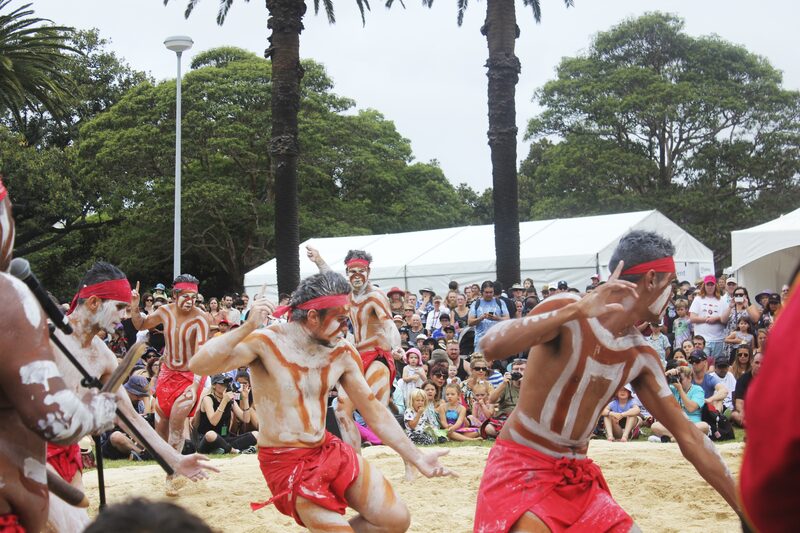 In recognition of January 26, Honi is dedicating its platform this week to prioritising the voices of Indigenous people. Find out more here. Rhaedel Pickett, a WWMB talent quest performer. 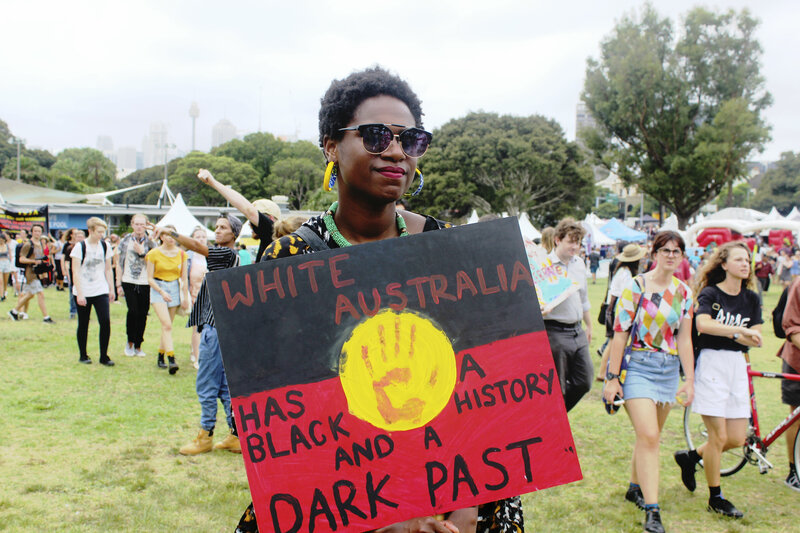 Protester holds sign reading ‘white Australia has a black history and a dark past’. 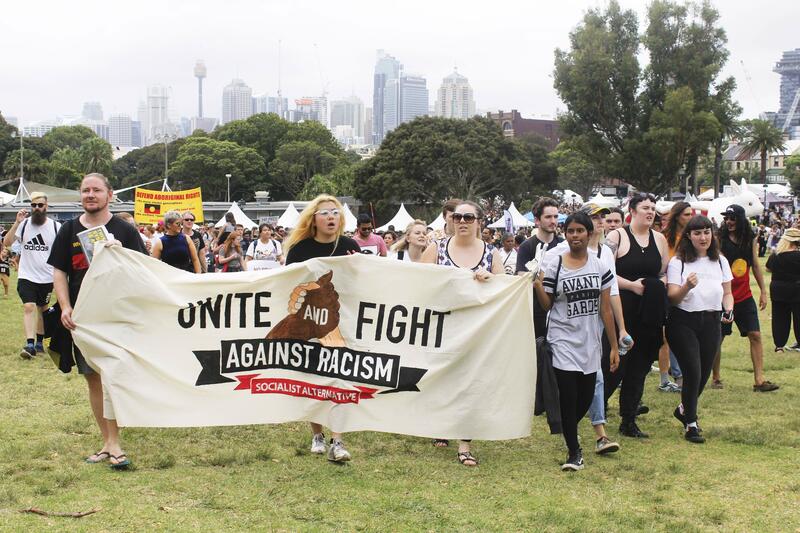 Protest cuts through the Yabun crowd. 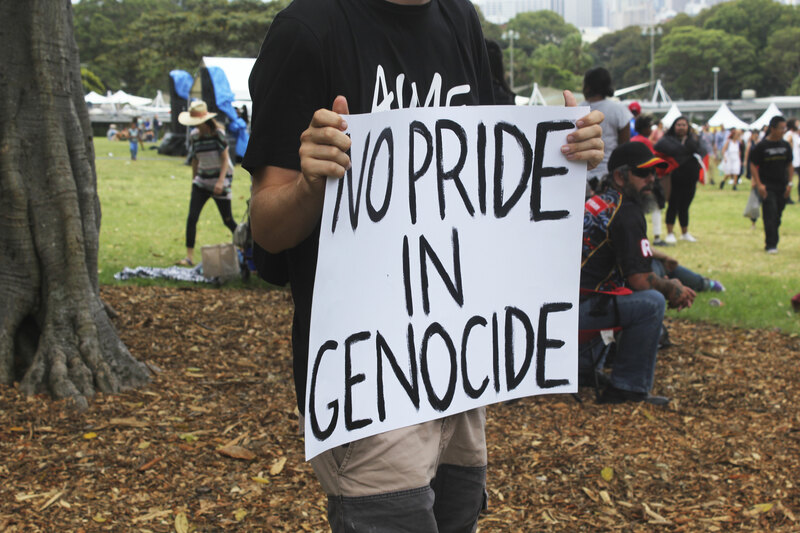 Protester holds sign reading ‘no pride in genocide’. 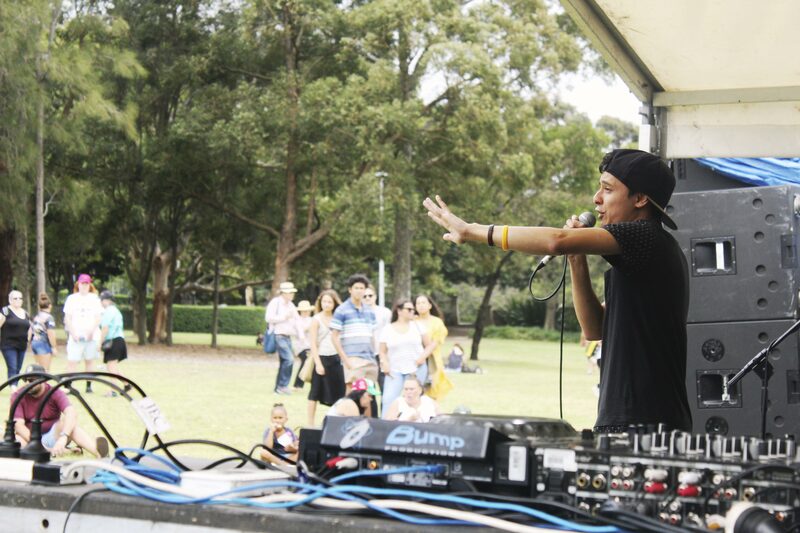 Rapper MC Dobby on the Young Black and Deadly Stage. 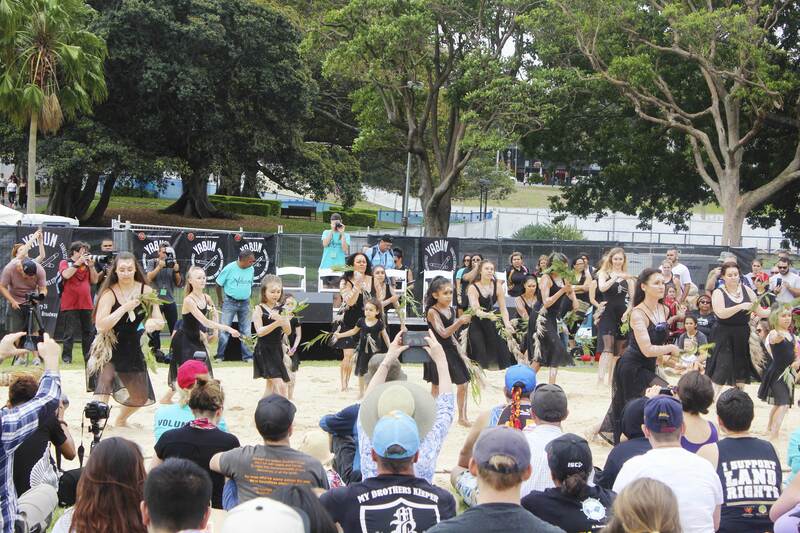 Muggera Dancers at Corroboree Ground.